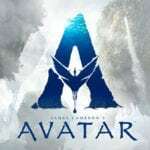 Starring Mila Kunis, Kate McKinnon, Justin Theroux, Gillian Anderson, Hasan Minhaj, Ivanna Sakhno, and Sam Heughan. Dining out at a fancy restaurant somewhere in Europe, Kate McKinnon’s character becomes overrun with the need to let out some diarrhea, which is kind of what the filmmakers are doing here. 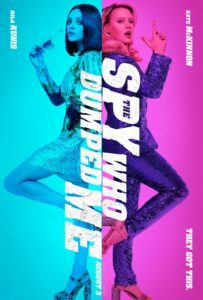 Aside from that gag not being the only piece of tired and juvenile gross-out humor, The Spy Who Dumped Me (the debut feature from Susanna Fogel, who also serves as co-writer on the project alongside David Iserson) also has no idea what to do with its story or characters, granting most of the men some knockoff John Wick gun-fu battles while the leading female pair in Mila Kunis and the previously mentioned Kate McKinnon, who by all respects considering the plot should absolutely indeed be depicted as bumbling idiots, are given stereotypical regressive material riffing on women not being able to drive a stick. It feels both lazy and is unfunny. Furthermore, not that film titles should ever accurately represent the nature of a narrative (trailers also frequently lie and should never be taken seriously), but the story mentions the actual breakup in the opening moments only to become a globetrotting journey to deliver a package full of government secrets highly desired by all sorts of illegal black-market traders, to a specific person in Vienna, Austria. Worst of all, no one is going to buy certain events that set the plot in motion. The fact that this certain plot point I’m alluding to doesn’t come back until the ending is insane, as if the writing is convinced only idiots are in the auditorium. The aggressively annoying humor might have been salvageable if we actually saw these women learn and grow into becoming spies, but their moments of intelligence are often always ideas any sane person in the situation would come up with. For example, the data is secured inside of a USB drive tucked away in a fantasy football trophy, so the girls purchase a bunch of other random trophies to help disguise which one contains the secrets. 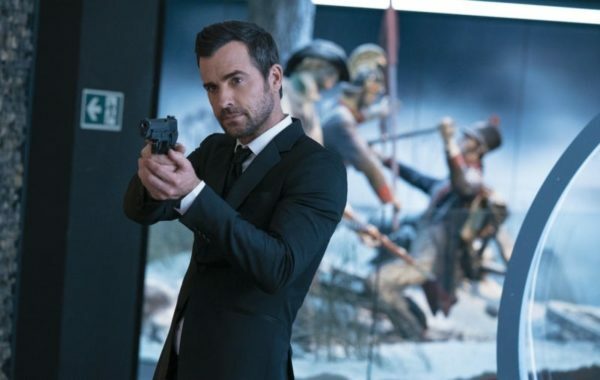 With that in mind, during a confrontational standoff with potential villains (Mila’s ex played by Justin Theroux warns her not to trust anyone) the trophy is switched at the exchange, which comes back to be described as some genius thought that makes her worthy of being an excellent spy. Now, admittedly, Kunis does get to fire a gun and drive during an extended chase sequence, but none of it is very memorable, remarkable, or even empowering. It’s run-of-the-mill action fare concocted with terrible comedy from anyone that isn’t Kate McKinnon. Don’t get me wrong, not even she can make embarrassing skits like diarrhea amusing, but she does deliver another eccentric performance grounded in the filmmakers simply exploring what weird things they can have her do and seeing what sticks as being hilarious. There’s a bit during the climax that sees her fulfilling her ambition of becoming a trapeze artist all while forced into battling a persistent international assassin with a nasty fall looming below. 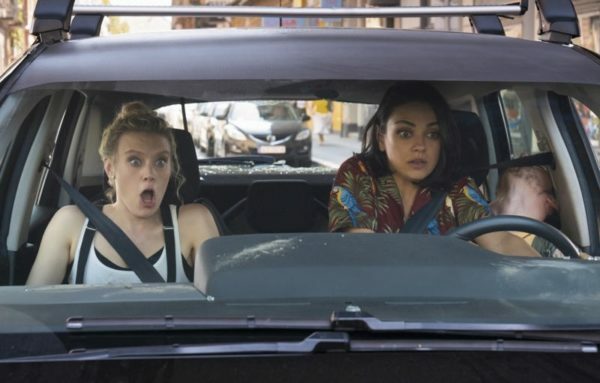 Unfortunately, like most set pieces in The Spy Who Dumped Me that should get the adrenaline pumping, the excitement is actually over before it begins. Or maybe, I have just been deeply spoiled by Mission: Impossible – Fallout (whose grand idea was it to release this immediately after not just this year’s pentacle of summer blockbuster filmmaking, but one of the best spy films ever made). One last thing, everyone betrays everyone in this movie. Even characters introduced that don’t even have a clear character or motives will turn out to double-cross the protagonists, only making the narrative even sillier. It gets to a point of such uninspired sloppiness that it’s hard to imagine anyone caring what is going on. For a movie that, in its conception was probably meant to play into a bunch of spy tropes as a way to send them up and empower women, The Spy Who Dumped Me fails in execution.